Now that Sen. Bernie Sanders has officially endorsed presumptive Democratic presidential nominee Hillary Clinton, he has time to work on his next project — and it's a big one. Thomas Dunne Books announced on Thursday that Bernie Sanders' is writing a book, due for publication November 15, one week after Election Day. 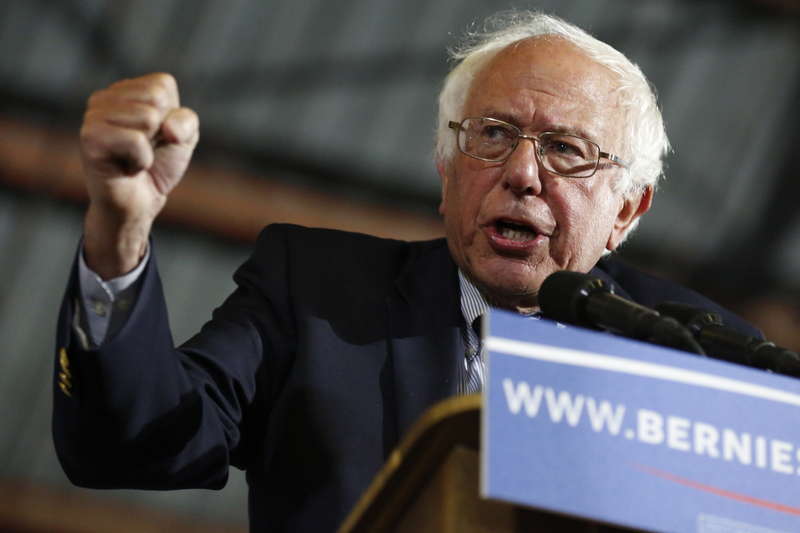 The book will cost $27 — a nod to Sanders' claim that his average donation was $27. The book, titled Our Revolution: A Future To Believe In, will delve into his policy ideas for the future and reflect upon his unexpectedly fervent but ultimately unsuccessful campaign for president. "Moreover, the final section, presently called 'Where Do We Go From Here?' will outline a program of progressive activism for the coming years, a cause he is passionately committed to." Sanders, 74, previously published a memoir, Outsider In The House, with publisher Verso Books. Outsider documented his work in the Civil Rights movement, his work building grassroots movements in Vermont, his successes as the first independent elected to the House in forty years, and his ultimate election to the Senate.